The webinar has ended. Please register below for the webinar recording. Join Instructional Librarian Lisa Janicke Hinchliffe as she shares initial findings from her research into predictable misunderstandings students harbor toward information literacy, and how librarians can tailor instruction to correct these. In any domain of learning, it is helpful to anticipate common student misconceptions—however such systematic research is only beginning for information literacy. 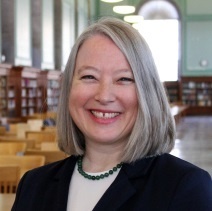 Hinchliffe will discuss her groundbreaking research, and explore how libraries can design instruction to more effectively teach these important skills. Lisa served as the 2010-2011 President of the Association of College and Research Libraries, which launched the Value of Academic Libraries Initiative during her presidency. Along with Debra Gilchrist, Lisa was the lead designer for ACRL’s training program for the Standards for Libraries in Higher Education and the IMLS-funded Assessment in Action project. Lisa has presented and published widely on information literacy, teaching and learning, the value of libraries, library assessment, program evaluation, and organizational innovation.